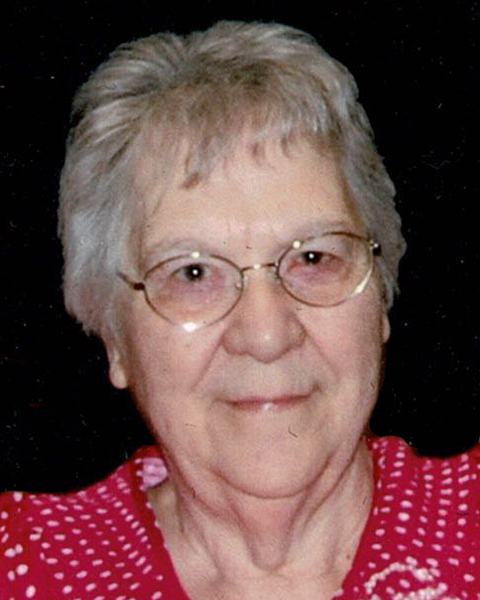 Maybelle “May” Jean (Haupt) Beaty Griess, 87, of Aberdeen, SD, passed away Friday, March 29, 2019, at Prairie Heights Healthcare in Aberdeen. Maybelle was born on June 17, 1931, in Bowdle, SD to Ernest and Katherine (Jenner) Haupt. In 1952, she married Marion Beaty and they were married 30 years. In 1984, she married Raymond Griess and they were also married 30 years. In 1974, May became employed at the Aberdeen Adjustment Training Center (now Aspire), where she worked as a Food Preparation Coordinator until 1993, when she retired. Maybelle is survived by her children: Randall (Susan) Beaty of Omaha, NE, Daniel Beaty of Las Vegas, NV, Cheryl (Troy) Smith of Anchorage, AK, Catherine Griffith Beaty of Rapid City, SD, Joyce (Tom) Crabtree of Aberdeen, SD, Bruce Beaty of Grand Island, NE, Patricia (David) Gadberry of Chanhassen, MN, and Roger (Holly) Beaty of Colorado Springs, CO; one sister, Grace (Doug) Hough of Sioux Falls, SD; 17 grandchildren;18 great-grandchildren; 13 nieces and nephews and their families; six step-children and their families; and special friend, Delores “Dee” Gehrts and her family. She was preceded in death by her parents; sisters: Dorothy Burr, Lois Kershman McDermed and Elaine Anderson; and brother, Harris Haupt. Maybelle was a member of the Aberdeen Seventh-day Adventist Church for 44 years.